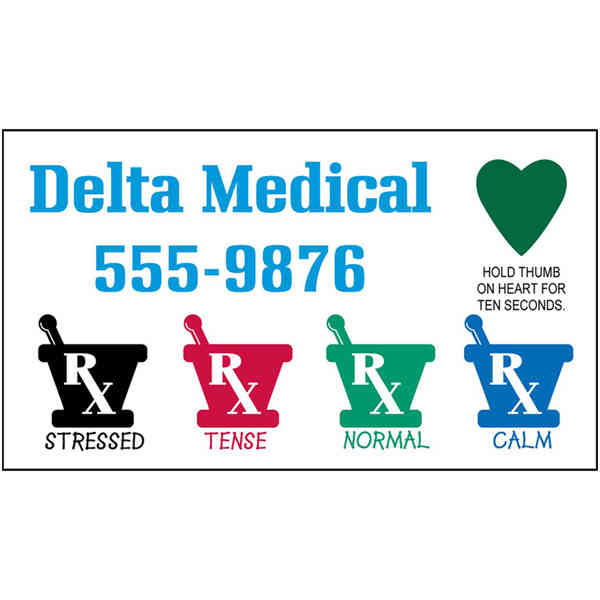 Educate the clients of your cardiology clinic while encouraging them to live more stress-free lives by using this custom stress test business card magnet after they visit. Made from flexible and purely non-toxic material, this magnet measures at 2" x 3-1/2" with a thickness of 20 mil. It comes with custom graphics and a heart stress-test indicator attached. Item is made in the USA and intended for indoor use only. This item is great for both private practices and hospitals alike. Imprint Size:1 1/2" x 2 1/2"